APA-Addis Ababa (Ethiopia) — Members and leadership of the Ethiopian rebel Gambella People’s Liberation Movement (GPLM) has returned from its base in Eritrea after renouncing armed struggle. Rwanda and Italy on Monday signed an air services agreement that grants both parties the rights to fly into both territories without landing, as well as to make stops for non-traffic purposes, officials said. The agreement was signed in Kigali between Rwanda’s minister of Infrastructure, Claver Gatete and the Italian Ambassador to the country based in Kampala, Uganda, Domenico Fornara. The two officials held detailed talks on all aspects of bilateral relations, it said. 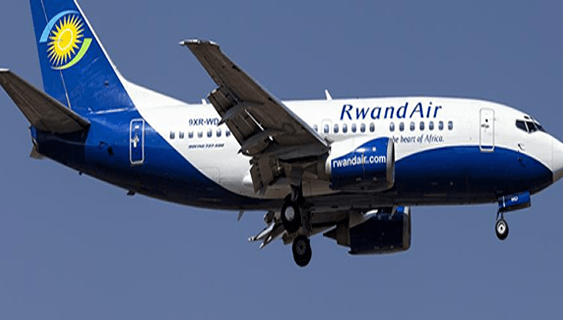 The agreement also confers rights for the airlines of both countries to transport passengers and cargo, according to the managing director and chief executive officer of RwandAir, Yvonne Manzi Makolo. It is hoped that the air services agreement would act as a catalyst to future cooperation in trade and development between both countries. From Kigali as its hub, RwandAir currently flies to 26 destinations in West, East and Southern Africa, the Middle East, Mumbai (India) and Europe. The airline which has ten aircraft plans to increase its fleet to 20 in the next two years. Its current fleet comprises two B737-700s, two B737-800s, two CRJ-900s, two Dash 8-400s, and two A330s.